Review: Incredibly, 'Honeymoon On Mars' is only the fourth studio album to be released by The Pop Group in a career that's stretched on and off across five decades, and it both sees links with their past and a bold vision for the future. Produced by the dream team of Dennis Bovell (the reggae legend who helmed their first album 'Y' in 1979) and Public Enemy's exemplary noise assassin Hank Shocklee, it's an explosion of sound that defies genre at every turn in a vicious attack on modern-day conformity and inertia. Iconoclasts to the last, Mark Stewart and company's ire has never burned brighter than it does in this increasingly complicated age. 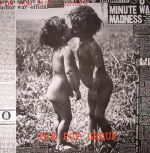 Review: It's been a bracing thirty-five years since the Pop Group's last album 'For How Much Longer Do We Tolerate Mass Murder', yet the passing of decades has clearly done very little to dampen the incandescent ire of Mark Stewart and his cohorts. In fact, 'Citizen Zombie' is proof that not only does their blast-furnace of punk energy, noisy dub contortions and sinewy funk survive intact, but that the here and now only inspires them to still more furious heights of intensity. Produced by the illustrious Paul Epworth, this barrage of restless invention, iconoclastic zeal and feral charisma is a powerful transmission from an eternal spanner in the works.